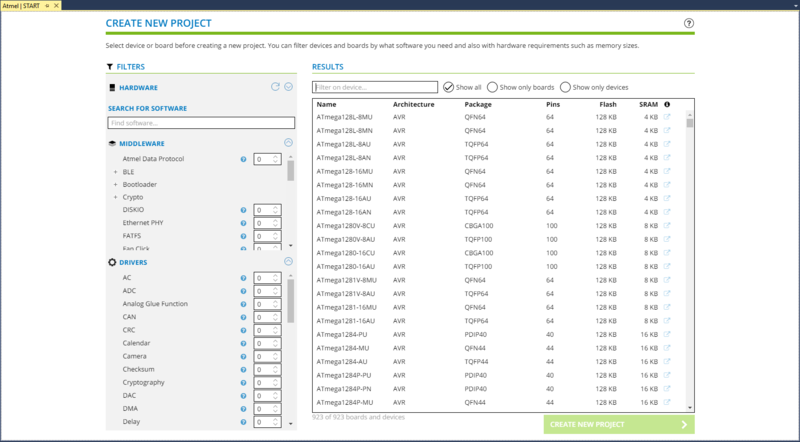 Atmel START is a web based tool, please make sure you have internet connection before you start. 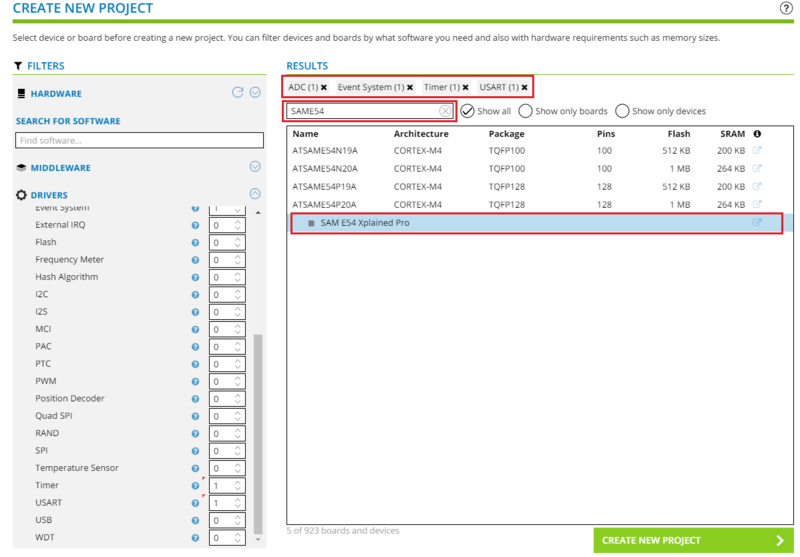 Open Atmel Studio and create a new project by selecting File > New > Atmel Start Project. 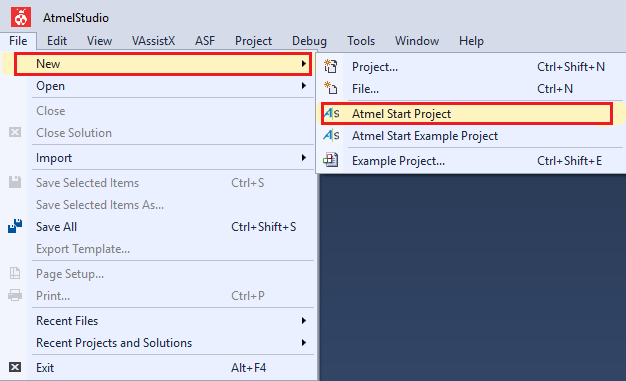 A new Atmel START tab is opened in Atmel Studio as shown in the following image. 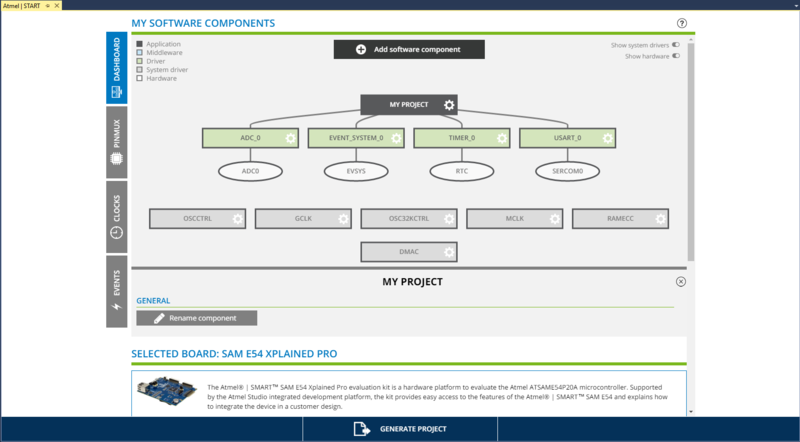 Type SAME54 in the 'Filter on device' search field and select 'SAM E54 Xplained Pro board'. 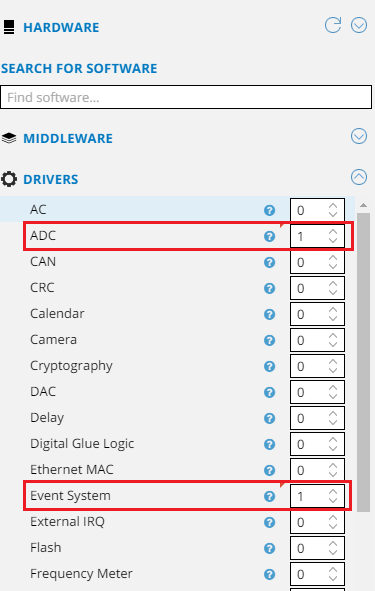 Add 'ADC' and 'Event System' peripheral drivers to the project (Increment instance to '1' by clicking on upper arrow . 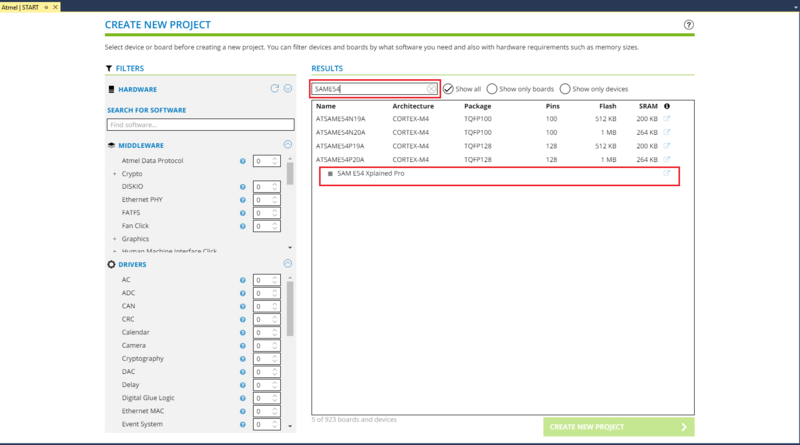 Add 'Timer' and 'USART' peripheral drivers to the project (Increment instance to '1' by clicking on upper arrow . 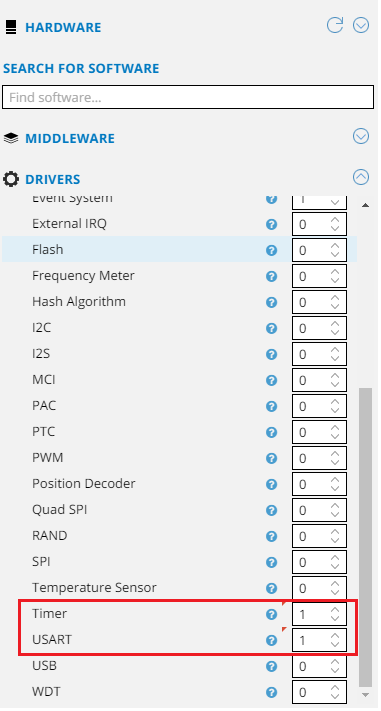 Verify whether the device and all selected drivers are added. 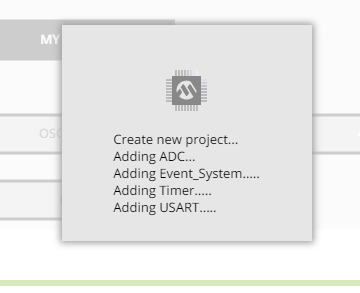 Atmel START starts creating the project.